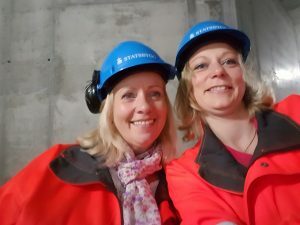 The Innovation team from Flovac’s German Unit under the management of Antje Adler has been appointed by Norway’s leading engineering design firm STATSBYGG to supply a Flovac vacuum sewerage system for inclusion in the new Center for Animal Research at Campus Ås. Based outside of Oslo, Campus Ås will become Norway’s largest interdisciplinary academic Center for the environmental and life sciences and for landscape architecture. The Center is affiliated with the Norwegian Environment and Biological Sciences University, NMBU and will be the national plant for research and education in livestock production in Norway. Ås gård has become an environmentally friendly facility with a great focus on animal welfare. 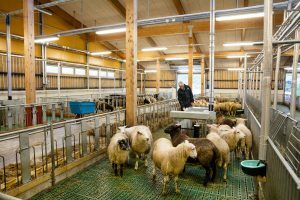 There are space for 1200 animals on Ås farm, which consists of five buildings totaling 16,400 square meters . Small sheep (sheep and goats) have been accommodated in an airy barn of 1630 sqm, while the pigs have got their own 1740 sqm building with warmth in the floor. The entire livestock unit of 7140 sqm is equipped with two fully automatic milking robots, an advanced robot that can supply feed to the cows throughout the day. As disease control and prevention is of utmost importance, the Flovac system was chosen to ensure that any waste from the animals is collected in a safe way. A Flovac pump station which generates the vacuum pressure in the wastewater collection network is situated remotely from the animals with flexible pipe installed underneath the livestock units. All waste is collected via floor drains throughout the facility. 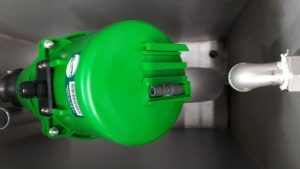 Flovac valves are housed in the floor drains and operate pneumatically with no need for an electrical connection. This reduces the carbon footprint of the facility. To ensure as little disruption as possible for the livestock all valves are remotely monitored and crucial data can be collected by the management team. The STATSBYGG design group chose to work with Flovac after a close study of the Veterinary University of Hanover’s epidemic disease prevention unit’s use of the Flovac vacuum sewerage system installed in 2015. They cited the speed of installation, flexibility and that there had been virtually no operational issues and no contamination occurrences as the reason for choosing Flovac. Information about the Hanover project can be read here. 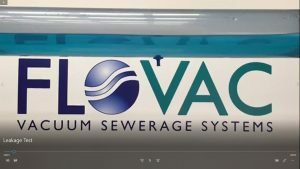 If you have a specific wastewater problem that needs some out-of-the-box thinking, then please contact us and we can see if there is some way in which a Flovac vacuum sewerage system might be the best solution for you.